Looking for a responsive WordPress theme to make your next business project a little easier? 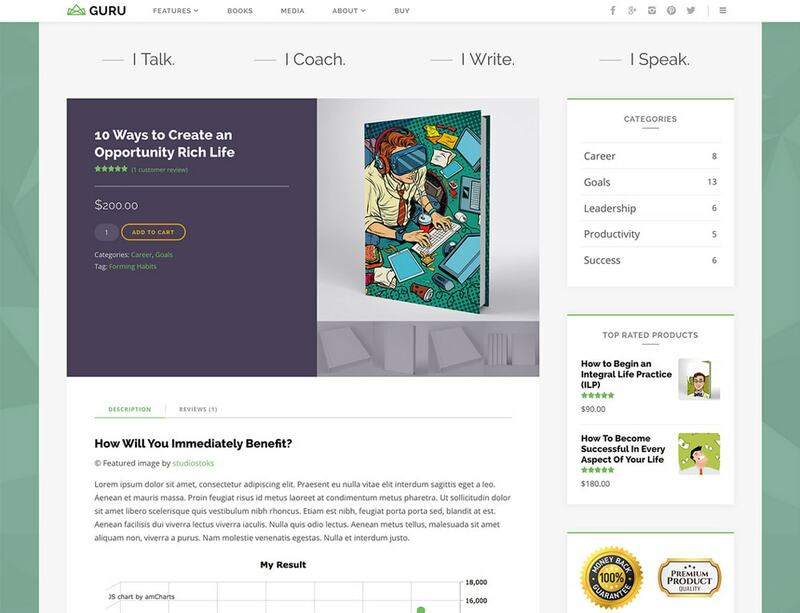 Consider GuruBlog by StrictThemes. The blog and shop theme is packed with features and designed for experts, coaches and business information. It can be used to showcase information, for online courses or even for selling digital products. The theme is designed to help you convert users with a stunning website that has money-making potential. Here’s a look at what you’ll get with GuruBlog. One of the best things about using a WordPress theme to build a website is that you can pick a theme that comes with the tools you need for the type of website you want. Some of the tools that are included in the theme will help you make the most of a growing business. The theme allows you to package your services to visitors know about everything your business offers. Boost sales and connect with users by integrating digital products or downloads. Show, don’t tell users about your business with a video slider. Add a blog so that you can keep users up to date with the latest information. The mega footer allows you to put key information – contact, location, hours – at the bottom of every page so you don’t lose users. Shop ready, sell digital products online. This robust theme comes with everything you would expect from a premium WordPress theme and more. Almost every part of the design is customizable and with a responsive and mobile optimized design, your website will look amazing on any screen size. It installs with just one click – no WordPress expertise needed – and is easy to work with. WooCommerce ready: Integrate a shop with payment options. The design even features a cart area in the sidebar with top-rated products to make the shopping experience easy for users. Plenty of design options: Choose from a full-width or boxed layout design with unlimited sidebars and support for custom post formats, so you can create anything you imagine. Make it yours: All of the sidebars and blog templates are customizable. Ready for social: A set of social media icons are included to make it easy to share content. HiDPI ready: The theme is compatible with high resolution and retina displays. Search engine optimized: The theme is built with clean, semantic and SEO optimized HTML5 and CSS3 code. Just add content and you are ready to go. Plenty of shortcodes: The theme includes plenty of shortcodes such as columns, buttons and tabs. Extensive documentation: Everything is well-documented so you can find answers to questions you have along the way. Plus, the theme comes with a bug-fix guarantee; if you find a problem, the theme developer will fix it right away. While a set of robust features is important, what can make the decision to purchase a premium WordPress theme is the design. 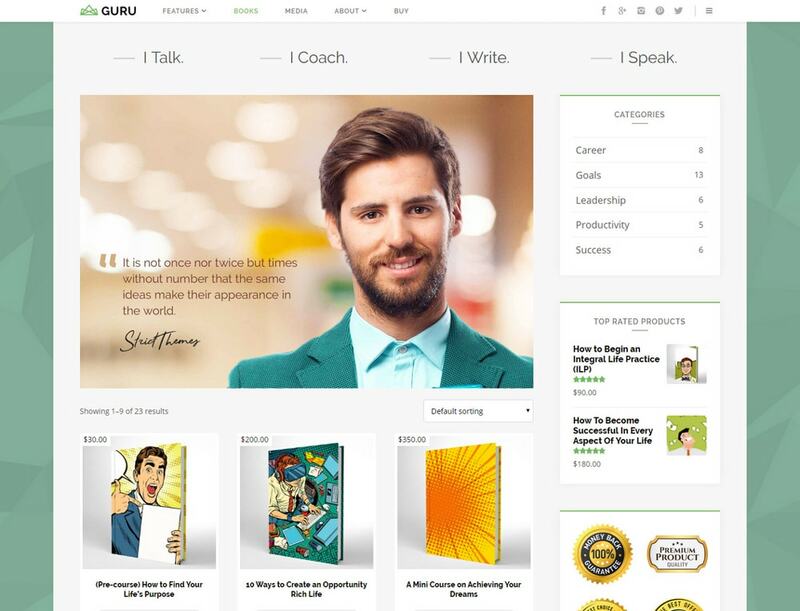 GuruBlog has a modern look and feel. The design is easy to navigate with plenty of white space, card-style boxes for callout information, sleek typography and an appealing color palette (which you can use or change to match your brand style). Everything about the design is modern with a classic, yet trendy vibe. GuruBlog was created by StrictThemes, which has been making WordPress themes for more than 10 years. They have a high rating and are considered an “elite author” in the Envato Market. 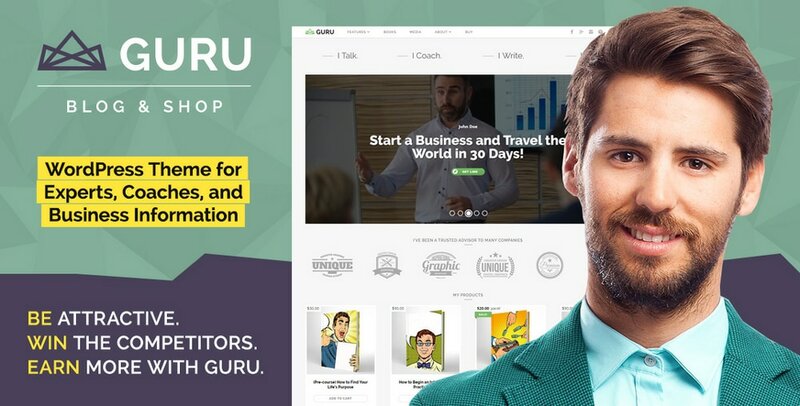 GuruBlog is a premium theme that is quality checked by Envato, includes future updates and 6 months of support. 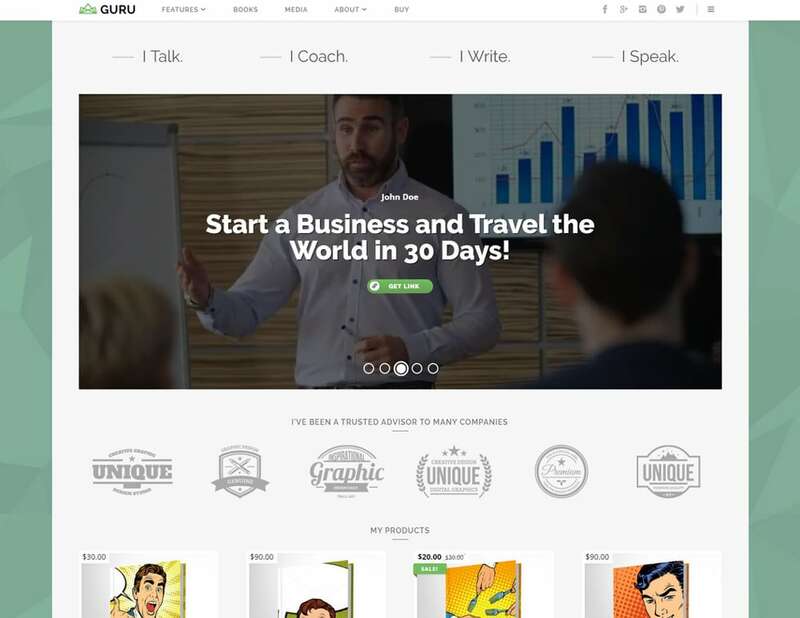 If you are looking for a theme for your business, give GuruBlog a try. It’s packed with features, comes from a quality WordPress developer and has a design that you and users are sure to like. Learn more about the theme and check out the live preview in the Envato Market.